Owners: Rich Harder, Jim Swanson, Ken Swanson, John Wilson. Assistant Coaches: Troy Birtwistle, Curtis Pelletier. Former HarbourCat and 2014 WCL All-Star Game Home Run Derby champion Gabe Clark hit six homers in his rookie season in the Toronto Blue Jays organization. 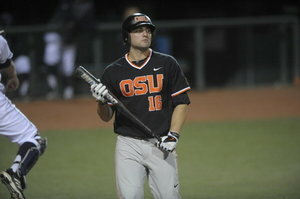 The former Beaver right-handed hitting slugger from Riverside, California enjoyed a breakout summer in Victoria in 2014. Junior infielder Griffin Andreychuk looks to build on a solid sophomore campaign that saw the HarbourCats second baseman hit .306 with 4 homers and 42 RBIs for Seattle Univ. 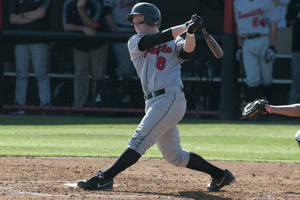 Last summer, Andreychuk led Victoria in hitting with a .385 batting average with 5 home runs and 25 RBIs. Griffin is returning to the Cats in 2016 for his third season with the team. Victoria’s first professional baseball championship came in 1920, when the original Victoria Capitals won their league championship, playing before a crowd of more than 4,200 on Opening Day, at a brand new ballpark then constructed behind the landmark Empress Hotel. Royal Athletic Park, home of the HarbourCats, was originally constructed in 1946, and first played host to the Victoria Athletics, who were a ‘Class B’ affiliate of the New York Yankees, from 1946 to 1951. The team changed its name to the Tyees in 1952, and won the Western International League pennant in their final year in 1954. Modern day Royal Athletic Park was rebuilt in 1967, after a large fire at the original. The Victoria Mussels (1978-79) and then the Victoria Blues (1980) played out of the ballpark in the affiliated Northwest League. After a pair of independent leagues fielded teams most recently in the 2000’s, the HarbourCats have established likely the most stable and prosperous tenure in the history of Royal Athletic Park. The club has seen increased attendance in each of their first four years, reaching the top-10 among summer-collegiate teams in North America in 2016. 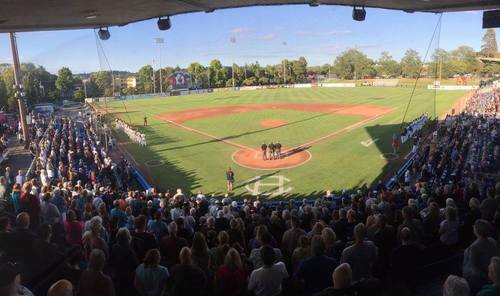 Improvements such as new ‘Diamond Club’ seats added in 2016 underscore the HarbourCats long-term commitment to Victoria and calling Royal Athletic Park home for a long time to come. Victoria is a world-renowned tourist destination that successfully mixes old English charm with new and diverse experiences. Victoria has been chosen as a host city for the Under 20 World Cup; the World Curling Championships and many other world-class events. 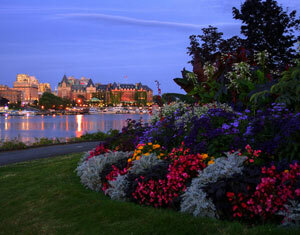 The City of Victoria is thrilled to have the West Coast League in its beautiful city. Victoria is surrounded in stunning natural beauty and offers a variety of activities for anyone; visitors can enjoy everything from whale watching to afternoon tea in Victoria. It is this reputation that has led Victoria to be rated one of the top 10 islands in the world by the 2012 Travel+Leisure World's Best Awards. Historic Royal Athletic Park is the host venue for the HarbourCats; built in the early 1900's and rebuilt in 1967 Royal Athletic Park is the premiere outdoor sports venue on the island and provides a beautiful backdrop for West Coast League action.